Of course, had I done all of this over a single day like some people do, it might not have seemed so bad, but since I drug it out over the course of almost a week here and there? It seemed never ending. Small Chest Freezer. I can hardly access the stuff on the bottom! THREE Asparagus Bacon Quiches* I used asparagus for spinach. I also added a little bit of whipping cream and shredded cheese. SIX Breakfast Burritos Meals* No actual recipe for this one, I just used the egg/sausage/potato scramble from the above recipe and wraped them in tortillas. TWO Pork Ribs* I used Pork Baby Back Ribs and I did not brown the ribs before freezing or cooking. I just dump them into the crock pot. FOUR Honey Pecan Chicken Breasts* I’ve made this with both pork chops and chicken breasts and I prefer the chicken breasts. I also like to wrap the raw chicken/topping in foil packets. 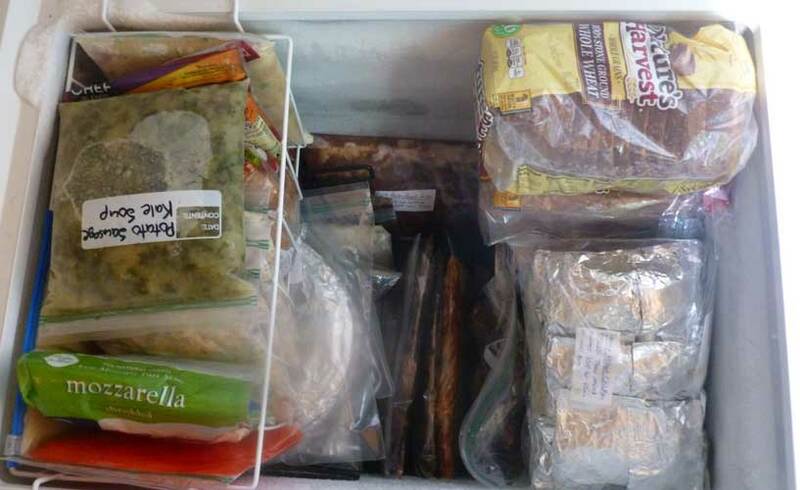 I freeze, thaw and cook them in packets and it keeps the chicken juicy and delicious. FIVE Potato Sausage Kale soups* I added sausage to mine. And all this in my teeny tiny 72 sq. ft. kitchen!! You may notice that 80% of these recipes come from Once a Month Meals (formerly Once a Month Mom). Honestly, this is my go-to site for finding recipes, as I know that they’ve all been freezer-tested. 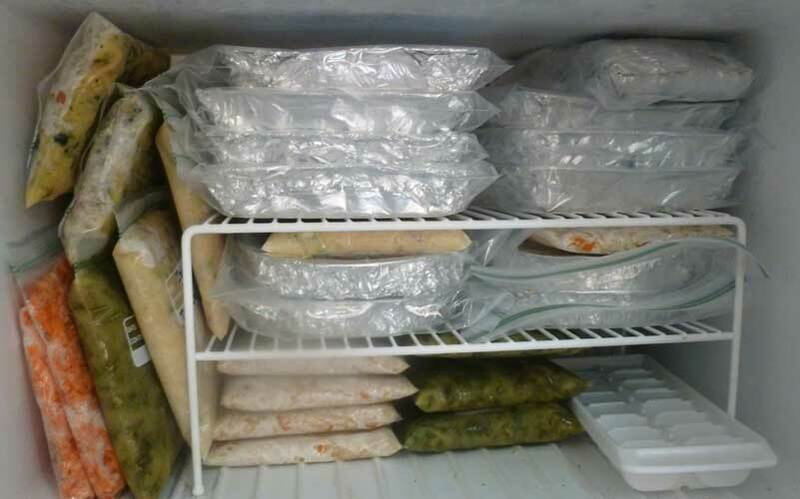 If you’re thinking of doing freezer cooking, I strongly suggest you check out the site! You can either just search out recipes on your own, or if you want to pay a small fee and sign up for their monthly meal plans, they will send you everything you need – shopping lists, food prep guides, recipe cards, labels, etc. Phew! I’m am glad to have all of this done! Now on to all of the other things on my “Nesting To-Do List” before this baby can be born!